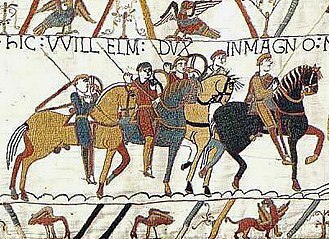 The invasions occurred in two phases. A detachment from the British army occupied Buenos Aires for 46 days in 1806 before being expelled. In 1807, a second force stormed and occupied Montevideo, remaining for several months, and a third force made a second attempt to take Buenos Aires. After several days of street fighting against the local militia and Spanish colonial army, in which half of the British forces were killed or wounded, the British were forced to withdraw. Pedro de Mendoza founded the Ciudad de Nuestra Señora del Buen Ayre (Our Lady of the Fair Winds' City) on 2 February 1536 as a Spanish settlement. 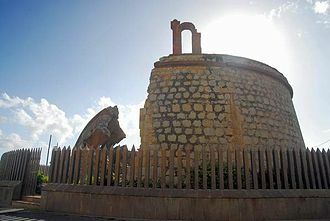 The site was abandoned in 1541, but re-established in 1580 by Juan de Garay with the name Ciudad de la Santísima Trinidad y Puerto de Santa María del Buen Ayre, and the city became one of the largest in the Americas. 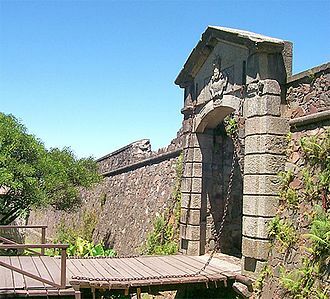 A Portuguese colony was founded nearby at Colonia del Sacramento in 1680. To deter Portuguese expansion, the Spanish founded Montevideo in 1726, and Colonia was finally ceded to Spain under the Treaty of San Ildefonso in 1777, one year after the creation of the Spanish Viceroyalty of the Río de la Plata, the forerunner of modern Argentina. The Napoleonic Wars played a key role in the Rio de la Plata conflict and since the beginning of the conquest of the Americas, England had been interested in the riches of the region. The Peace of Basel in 1795 ended the war between Spain and France. 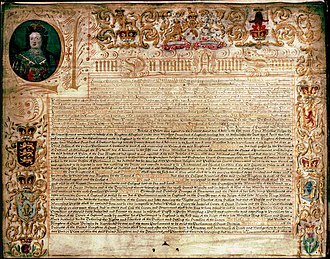 In 1796, by the Second Treaty of San Ildefonso, Spain joined France in its war with Britain, thus giving Britain cause for military action against Spanish colonies. 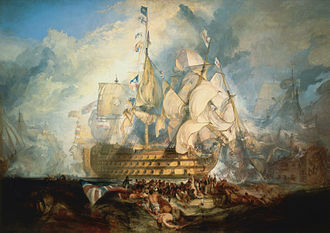 In 1805 Britain judged it the right moment after the defeat of the Franco-Spanish fleet at the Battle of Trafalgar. This battle forced Spain to reduce to a minimum its naval communications with its American colonies. Historically, Buenos Aires had been relatively neglected by Spain, which sent most of its ships to the more economically important city of Lima. 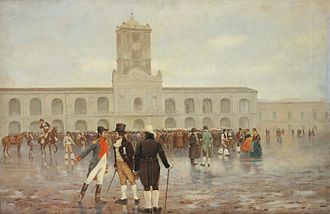 The last time a significant Spanish military force had arrived in Buenos Aires had been in 1784. Swiftly breached, the city was then assaulted by the 40th regiment and the elite 95th (Rifle) regiment. Once inside the walls, the British met heavy resistance as the Spanish fought to halt their advance, but they gradually spread out and forced back the defenders. On the other side of the city a second assault was launched, spearheaded by the 87th Regiment of Foot taking the Spanish defenders in the rear. The Spanish Governor Ruiz Huidobro accepted Auchmuty's demand of unconditional surrender around 5:00 A.M. The Spanish took 600 casualties and a further 2,000 were taken prisoner while the British had taken 600 casualties. 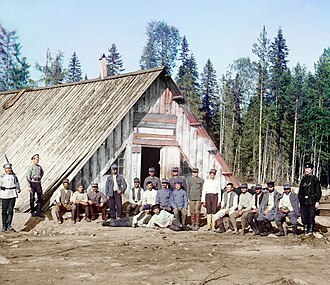 On the 1 July, the force led by Liniers fought but was overwhelmed by superior numbers in the city environs. At this crucial moment, Whitelocke did not attempt to enter the city, but twice demanded the city's surrender. Meanwhile, Buenos Aires' mayor Martín de Álzaga organised the defence of the city by digging trenches, fortifying buildings and erecting fences with great popular support for the Creoles hungered for independence. Finally, 3 days after forcing the troops under Liniers to retreat, Whitelocke resolved to attack Buenos Aires. 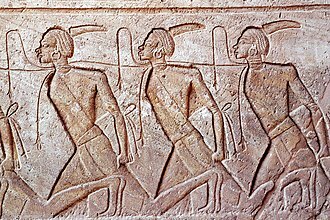 Trusting in the superiority of his soldiers, he divided his army into 12 columns and advanced without the protection of the artillery. His army was met on the streets by a mixed race militia, including 686 African slaves, stiffened by the local 1st Naval Infantry Battalion and 1st 'Los Patricios' Infantry Regiment, and fighting continued on the streets of Buenos Aires on 4 July and 5 July. 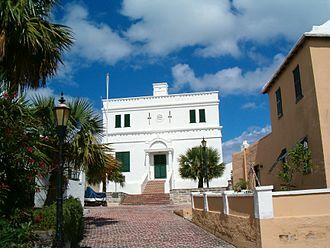 Whitelocke underestimated the importance of urban combat, in which the inhabitants employed cooking pots filled with burning oil and boiling water from rooftops, injuring several soldiers of the 88th Regiment. The locals eventually overwhelmed the British troops. 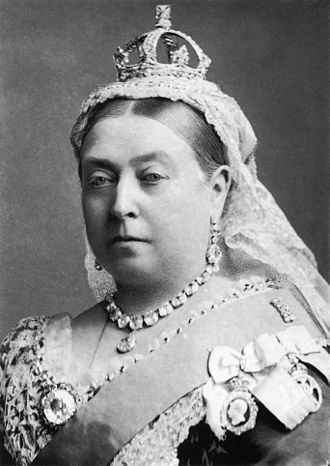 The British suffered 1,000 casualties. By the end of 5 July, the British controlled Retiro and Residencia at the cost of about 70 officers and 1,000 other ranks killed or wounded, but the city's centre was still in the hands of the defenders, and the invaders were now demoralized. 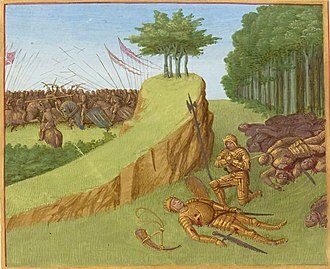 At this point, a counter-attack by the militias and colonial troops present, defeated many important British commanders, including Robert Craufurd and Denis Pack. Then Whitelocke proposed a 24-hour truce, which was rejected by Liniers, who ordered an artillery attack. 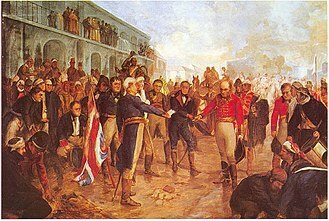 After suffering 311 killed, 679 wounded and 1,808 captured or missing, Whitelocke signed an armistice with Liniers on 12 August; the local marines playing an important part in defeating Brigadier-General Robert Craufurd and his two thousand troops at the Battle of Plaza del Mercado which is now recalled by the people of Buenos Aires as 'The Defence'. 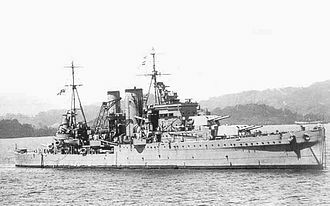 In the confusion of defeat, many British soldiers deserted their units and more than 50 were returned to the British and were court-martialed, while others were allowed to stay and would form part of the 1,200-strong British contingent  that would help in the liberation of Chile. 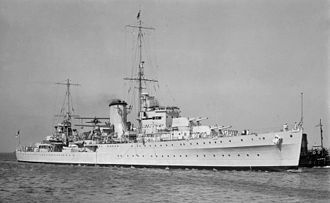 Whitelocke left the Río de la Plata basin taking with him the British forces in Buenos Aires, Montevideo, and Colonia, but leaving behind 400 seriously wounded. On his return to Great Britain, he was court-martialled and cashiered, mainly for surrendering Montevideo. 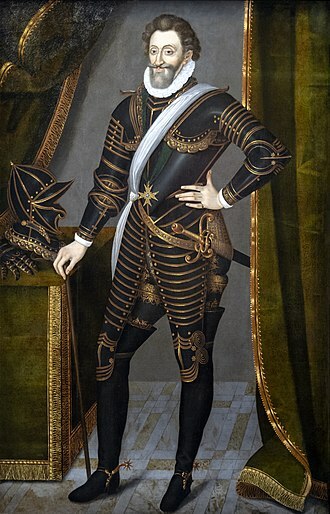 There was much criticism in the British newspapers in the way Whitelocke had conducted himself and for having surrendered to a largely militia force. Whitelocke would claim that in the 71st Regiment alone there were 170 deserters. Liniers was later named Viceroy of the Río de la Plata by the Spanish Crown. According to Argentine journalist Juan José de Soiza Reilly, the British dead can be found today buried in a mass grave under Calle Cinco de Julio near Avenida Belgrano in downtown Buenos Aires. ^ a b c d e Historic cities of the Americas: an illustrated encyclopedia, Volume 1, David Marley, p. 658, ABC-CLIO, 2005. Retrieved 22 October 2014. ^ a b c "'With the Gurkhas in the Falklands' – A War Journal's Postscript By Mike Seer July 2003". Archived from the original on 11 September 2012. Retrieved 22 October 2014. ^ Historic cities of the Americas: an illustrated encyclopedia, Volume 1, David Marley, p. 658, ABC-CLIO, 2005. Retrieved 22 October 2014. ^ a b c d e f g Trofeos de la Reconquista de la Ciudad de Buenos Aires en el Año 1806 (in Spanish). Buenos Aires: Litografía, Imprenta y Encuadernación de Guillermo Kraft. 1882. ^ Tavani Pérez Colman, Oscar. Martínez de Fontes y la fuga del General Beresford. Editorial Dunken, 2005, p.49. "The lack of identification with the Spanish government in Buenos Aires began to express itself on the friendly welcome extended to the enemy by ladies who, smiling, gave them welcome. Moreover, the 1 July, Sarratea Martin -father-in-law of Liniers- and his brother-in-law Leon Altolaguirre offered a reception to the British leaders, attended by Santiago de Liniers and his wife's brother-in-law Lázaro de Rivera." – "La ausencia de identificación con el gobierno español en el pueblo de Buenos Aires comenzó a exteriorizarse en la simpática acogida brindad al enemigo por parte de señoritas que, sonrientes, les daban la bienvenida. Es más aún, el día 1º de julio, Martín de Sarratea -suegro de Liniers- y su cuñado León de Altolaguirre ofrecieron una lucida recepción a los jefes británicos a la que concurrieron Santiago de Liniers y su concuñado Lázaro de Rivera." ^ Chris Brooks. "Argentina: The Path to Independence. By Chris Brooks". Archived from the original on 2 May 2009. Retrieved 22 October 2014. ^ The African experience in Spanish America, 1502 to the present day, Leslie B. Rout, p. 166, CUP Archive, 1976. Retrieved 22 October 2014. ^ "Palombo, Guillermo. Las Banderas Británicas tomadas en Buenos Aires el 5 de Julio de 1807. (in Spanish)". Retrieved 22 October 2014. ^ "Invasiones inglesas. La defensa". 1 September 2003. Retrieved 22 October 2014. ^ An authentic narrative of the proceedings of the expedition under the command of Brigadier-Gen. Craufurd, until its arrival at Monte Video; with an account of the operations against Buenos Aires under the command of Lieut.-Gen. Whitelocke, p. 164, G. E. Miles, 1808. Retrieved 22 October 2014. ^ "Buenos Aires celebrates routing of British invasion, MercoPress, South Atlantic News Agency, August 12th 2006". 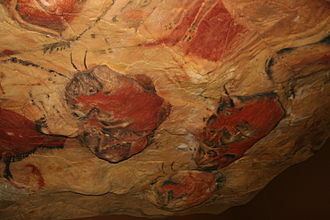 MercoPress. Retrieved 22 October 2014. (in Spanish) (in English) Grenadier company, Tercio de Cantabros Historical reenactment group that represents a militia group which had a courageous performance in Buenos Aires in 1807. (in Spanish) (in English) La Expedición Británica de 1806-7 al Rio de la Plata, Según el Diario del Tte. John Bent British Expedition of 1806–7 to the Rio del la Plata, Diary of Lieutenant John Bent. He was accused of cowardice by the people of Buenos Aires after escaping the city during the British invasions of the Río de la Plata in 1806. He was born in Seville,27 November 1745, at fourteen years of age, he became a cadet in the Regimiento de las Reales Guardias Españolas. He served in different locations, such as Cartagena de Indias, Ceuta, in 1779, he was named Secretary to the Viceroy of the Río de la Plata, Juan José de Vértiz, with the rank of lieutenant colonel. He continued in that post with the successor, Nicolás del Campo, Sobremonte married an Argentine lady, Doña Juana María de Larrazábal, having eleven children with her, Rafael de Sobremonte y Larrazábal, baptized in Buenos Aires,22 October 1783. Marcos José de Sobremonte, baptized in Córdoba,28 August 1785, Ramón María Agustín de Sobremonte, baptized in Córdoba,9 October 1786. José María de Sobremonte, baptized in Córdoba,4 January 1790, Manuel de Sobremonte, baptized in Córdoba,11 August 1792. María de las Mercedes de Sobre Monte, baptized in Córdoba,31 December 1793, josefa Juana Nepomucena María del Carmen de Sobremonte, baptized in Córdoba,24 April 1795. Juana de Sobremonte, baptized in Córdoba,19 August 1796, José María Ramón de Sobremonte, baptized in Buenos Aires,19 January 1798. José María Agustín de Sobremonte, baptized in Buenos Aires,20 April 1799, Ramón José Agustín de Sobremonte, baptized in Montevideo,4 August 1801. 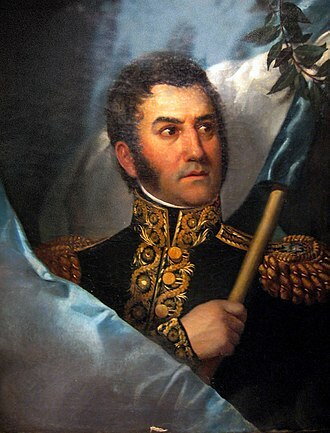 José Agustín María de Sobremonte, baptized in Buenos Aires,19 April 1803 and he married again at seventy-five years of age with Doña María Teresa Millán y Marlos, widow of a nephew of Baltasar Hidalgo de Cisneros, the last Viceroy of the Río de la Plata. He opened a public school, and ordered the constructions of rural schools. Created the Civil Law career at the University of San Carlos, improved the administration of the neighborhoods, started the first street lighting system, improved the justice system which was lacking in attentio due to the distance to Buenos Aires. During his administration he improved working conditions in the mines, and he built small forts and towns to try to defend against Indian raids, Río Cuarto, La Carlota, San Fernando, Santa Catalina, San Bernardo, San Rafael, Villa del Rosario, etc. French and British ships breaking the chains in Obligado. Cristina Fernández de Kirchner during the celebrations of the Day of National Sovereignty. Admiral John Thomas Duckworth who commanded the British naval forces. Rafael de Sobremonte, portrait by Ignacio Cavicchia.